Meat Cleaver Studios is a full-service production company and studio located in downtown Chandler. Our dedicated team of writers, designers, and production professionals are equipped to help creatives and businesses elevate their content to the next level. We provide a one-stop-shop for those looking to break the mold without breaking the bank. Full-service production facility featuring two studios, studio cameras, audio, control room capabilities. Two complete Live-Remote Trucks, Microwave and Vyvx Line. Post facilities include 5 Avid, 2 Final Cut suites, DaVinci Color-correction. Digital-Film production includes RED Epic-W, Canon 10X1, Cooke Primes with complete G&E on Truck. We produce over 3,000 commercials and video projects per year. 4 online edit suites, 4 cameras. 3-D graphics, animations. Twice as Good, Twice as Fast - HALF the price! 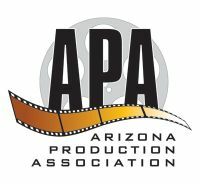 Arizona based production company focused on Narrative, Commercial, and Doc work. We work without ego and with emphasis on co-creation. We champion authenticity and feel passionately compelled to touch lives in an active and inspiring way. We are built on creative trust. Comfortable in chaos. And genuinely excited to bring stories to life. G Media provides high-quality, high-definition videos for your marketing needs. Today, video is where it's at; consumers & business owners have social media & smart phones at the fingertips. They have to be found. Video is a window & tool to their product or service. G Media shoots on-location everyday. At MERESTONE our team of producers. Directors, videographers, editors, motion graphic designers, 3D animators and artists provide script to screen media production. Our exceptional work has produced over 200 industry awards. Call us for a Backstage Tour of our studios! Cable ONE offers full service video production with multiple studio locations in the United States. We manage every aspect of a project from concept development, pre-production, studio or location productions and post production, providing a high-quality finished product that delivers your message in an engaging way. Arizona Studios is a full-service production and post production studio specializing in Corporate Videos, Commercials, Infomercials, Presentations, Explainers, and Web Videos with high quality HD or 4K Video, 3D Animations, 2D Animations and Motion Graphics. Call now to talk to us about how we can help you on your next video production. Ambient Skies Productions is an award winning video production company specializing in documentary, reality TV, features, narratives, time lapse and corporate video production. We offer cinemastyle camera operator packages such as Canon C300, Sony F55 & Red Dragon. Phantom Flex 4k certified. Will travel. Video marketing and production with a marketing-first approach to video creation. Expertise in digital video strategy, scripting, production, post-production and digital deployment. High-quality corporate videos at reasonable prices. Company Overview, Customer Testimonial, Product Demonstration, Short Tip Videos, Social Media videos, & Video Ads. SouthWest Post, LLC offers cutting edge video productions laser-targeted to your audience in both the broadcast and online world. Our talented and experienced production team offers all-inclusive service that includes concept development, scripting, HD recording crews, studio, site & music direction, HD editing & flawless digital delivery. Taz Entertainment has over 14 years producing award winning commercials, network broadcasts, virtual reality, and corporate videos all over the United States. From concept to post production, we can fulfill your needs. Clients include Caterpillar, Sun Life Financial, Cisco Systems, ABC, Pima County, and many others. SNEAKY BIG is a full service production company with the talent and equipment needed to produce any type of media project. From film shoots, commercials and live TV broadcasts to recording sessions, podcasts, social media and web content, we do it all. We are a team of professionals who work to develop the right creative approach. Make magic here! Award-winning, creative, full service production company for broadcast, business, documentary and feature film projects with national reach. For the full story, visit truestoryfilms.com. We produce award winning visuals with the best Directors of Photography and equipment utilizing full sensor HD cameras like the Red Dragon and Sony F5. We also specialize in live and on-location broadcast with satellite trucks and our Phoenix studio. Since 1994 Crew West has been the chosen company for national news networks & production companies. MarzMotion is a full service video production company delivering creative and relevant motion content. We stay on top of the current trends and styles in our world to keep us creating the best content for our clients. We collaborate directly with brands, creative agencies and production companies. Ashland Mine Productions is a full service video production company with over 15 years of experience. From concept to creation we are capable of telling your story for the web, broadcast, and social media platforms. Beautiful—Science is an independent creative production company based in Phoenix, Arizona. We are a collaborative of producers, writers, and directors with extensive commercial production experience. Full service production company, insured, and SAG signatory. You have a story to tell, and Flying Robot is here to help you tell it. We put time and thought into every shot we create, delivering above and beyond merely capturing footage, providing editing and all post production. Our aim is to produce a compelling cinematic aerial/ground creative for our clients, no matter how big or small the project. Commercials, specials, series, documentaries, corporate messaging, films & marketing videos - projects that matter. Production company for RAW TV, National Geographic, A&E, CBS' Amazing Race, BBC Films & Discovery. Check out our website at www.randymurrayproductions.com for samples of our work. Coordination, crew, and gear for your next project. As a production service company, we act like an extension of your team to make sure your next project looks great, goes smoothly, is on time, and on budget! 22 Years in Business. Over 10,000 Projects. Full-Service. Creative development, script writing, 3-ton location production truck and crew, post production. Edit/Adobe Premier Creative Cloud, 4K/HD, Graphics, 2D/3D Animation, Talented and Fast Editors, highly experience producer and crews. Make your project "Outrageously Great!!!" The skies opened up in 1978 and onto the desert floor . . . two transplants from Chicago took root and grew into a successful media production company. Life partners, Producer/Director and Director of Photography and Digital Media . . . enjoying creative work and producing results for clients. We help people tell their stories! We bring personal visions, events and people into the light... If you have a story to tell, please call! D-Mak Productions is a Phoenix based video production company specializing in producing corporate, commercial, digital and branded media content. Quantum Leap Video Services never settles for good, capable, or the bare minimum. QLVS is unique and the difference lies in creativity, insight, and total in-house capabilities; and of course, a commitment to always exceed our clients' expectations. Commercials, Corporate sales and training videos. 4K video capture and editing. 3-D graphics. Extensive commercial photography business. Real impact comes from the freedom to express yourself without fear. Be fearless. Tell your story. We can help. By fusing the power of story with collaboration and craftsmanship, we can tap the vital emotional connection with your audience that will leave a lasting impact. We are Not Afraid! Let us help you share your story. Birds Eye Productions LLC is more than just a drone company. We are a full production company as well. We have completed projects for SEMA, Porsche, and more. We are an owner/operator of a complete RED Epic setup. We also have all the equipment for car-to-car shoots including the FlowCine Blackarm, DJI Ronin 2, and MoVI Pro. Contact us today! We have been working in the technical production field for over 20 years. From acting in local productions, to stage construction, to lighting and audio. From script writing to voice-overs and special effects. All these, plus some high-tech equipment combine to offer you the best production at the best price! Multi-award-winning filmmakers, Limitrophe also brings big vision and cinematic quality to commercial and promotional video. Limitrophe’s Josh Kasselman and Stephanie Lucas are recipients of the Phoenix Film Foundation’s Arizona Filmmaker of the Year award, and Kasselman is a gold ADDY award winner for commercial direction. Producer services, specializing in commercial production (35mm & HD formats). Fully insured. 20-plus years experience filming projects statewide and throughout the U.S. Facilitating the creative while managing agency, client and production company expectations. PetSmart, Sonic Drive-In, McDonalds, Phiten, MTV, Phoenix Suns, Arizona Diamondbacks, Arizona Lottery, Bashas’, Humana, Del Webb, Peter Piper Pizza, MGM Grand. Film/video production company with an experienced bilingual team who can handle any, or all aspects, of your multimedia production needs. Compañía de producción de cine/video con un equipo bilingüe experto que puede manejar cualquiera o todos los aspectos de tus necesidades de producción. Creative and full service, working with all angles of video production. From pre-production to location shooting and through post-production. Nationally and internationally experienced. Great rates, great crews. We are a concept to completion production company with over 20 years of experience. Our services include DP, camera operators, sound, aerial and UNDERWATER cinematography, and full professional editing. Camera packages include all Canon prime cine glass for Canon C300, RED Epic 5K, & Sony A7R3. Full production trailer available for travel.